Celebrate July with cool ideas for hot summer days at Greenhouse Garden Center. All month long we are jam packed with great classes every Saturday at 9 AM. Julie will be hosting a miniature garden class at 1 PM on July 28th. We are pleased this month to have Craig and Cody Witt, owners of Full Circle Compost here on July 14th at 9 AM. Don't forget our FULL MOON MADNESS sale on Friday, July 27th, for 8 AM - 8 PM. Everything nursery-wide, in-stock, will be on sale with the exception of sod, bulk products and services. The N. Nevada Pond Club will be having their annual pond tour featuring locations in Carson City, Gardnerville/Minden, Washoe Valley and Genoa. The date is set for July 21st and tickets are available here. Finally, the "Create A Miniature Garden" workshop has been canceled. We hope to reschedule it at a later date. Many customers have expressed concern regarding summer planting. We at Greenhouse Garden Center have the plants and trees protected for numerous Nevada extremes including wind, heat, reflected light and low humidity. We do this by having the plants grouped and by watering most plants daily. We find that often there will be an adjustment period when the plants leave here and are placed in the dry, hot, windswept ground without other plant material surrounding and offering protection. Many of the plant leaves might crisp if not watered daily in the first week. Water slowly and make sure that you get water into the root ball. Planting deep or making big rings or expecting the water sprinklers to water deep enough may not be effective. On trees, many of the inner leaves might look torn, ragged or burnt on the edges. If you are diligent about monthly watering this winter, next year you will have all of the leaves back and your trees and shrubs will be more resistant to weather conditions in your landscape. Shrubs with tiny leaves, such as Barberry, Potentilla, and Spirea can dry up in the "blink of an eye" if you are not careful. Stripping off these damaged leaves and watering every day will offer you a healthy plant again in two or three weeks.To prevent transplant shock, organic fertilizers and mulching new plant material are all recommended for hot summer time planting. By following these common sense instructions you should have no fear of summer planting. Bonide company has a great universal critter control product REPELS-ALL ANIMAL REPELLENT. This product is natural, won't harm children or animals and long lasting. The unique blend of ingredients causes a mild irritation to the animal's nasal passages. When an animal touches, tastes or smells REPELS-ALLthis irritation triggers the animal's natural instinct to escape/avoid and the animal leaves the targeted area. REPELLS-ALL is available in a liquid or granular form and can be used around plant material, as a perimeter barrier and on hard surfaces. The animals targeted include:Â deer, rabbits, squirrels, chipmunks, raccoons, skunks, porcupines, birds, and rats.Â We have a customer in the Dayton area who has used it successfully to keep wild horses from destroying his landscape. If snakes are your problem, Bonide company makes a very effective snake repellent called SNAKE STOPPER SNAKE REPELLENT. SNAKE STOPPER effectively repels snakes from around your home, garages, gardens, swimming pools, gardens, garden sheds, woodpiles, and other areas where snakes may be a problem. It may be used in areas where children and pets play. 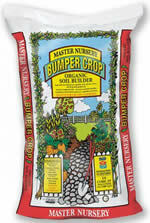 This product is biodegradable and will not harm lawns, gardens, flowerbeds and other desirable plants. The unique blend of ingredients in this product triggers escape/avoidance behavior in snakes. Snakes actually taste the air around them (vial a receptor organ known as the Jacobson's organ). SNAKE STOPPER provides a powerful scent/taste that snakes find unpleasant. Have you been thinking about growing a yummy, refreshing summer fruit garden? We have a large variety of fruiting shrubs and vines that would be perfect for this project. Choices include blueberries, raspberries, blackberries, grapes; the less commonly known Ribes family - which includes currants, gooseberry and josta berry and finally Goji berries. These plants may include varieties that are thornless, seedless and dwarfs. All of these fruits will grow well in full sun with the exception of the blueberries which do require afternoon protection. Berries in general are self pollinating. Blueberries require 2-3 varieties for cross-pollination. The Ribes family also benefits from cross-pollination. Plan your space accordingly. Dwarf varieties may work well in container plantings. The Ribes family needs lots of space. Currants can grow 5ft. tall and wide and Josta berries twice that. If you are using a trellis structure or wire supports for grapes, and blackberries, you will be able to maximize your space more easily. My favorite berry is the Jubilee blueberry, which produces very large, tasty clusters. These berries are a nice, plump, medium-sized berry perfect for pie. I have even found some that will get as large as a quarter. Check out my picture above. Have a fun and safe Fourth of July! This will be Laci's first time to see fireworks. I can't wait. We will be closed on July 4th, so be sure to come in before to shop our great selection of red, white and blue annuals for patriotic flower arrangements! Continue hosing down all of your needled evergreens with a strong stream of water to help con trol spider mites. Remember, not all insecticides are miticides. Check your labels carefully to make sure mites are listed before treating for spider mites. Neem Oil is a good all-purpose insecticide, miticide and fungicide - and it's organic, too! In a bowl, sprinkle the strawberries with sugar; stir to distribute the sugar, and set aside. Chill a large metal mixing bowl and beaters from an electric mixer. Pour the cream into the chilled mixing bowl, and add white chocolate pudding mix, lemon yogurt, and about 1 tablespoon of coconut rum (if desired); beat until fluffy with an electric mixer set on Medium speed. Spread a layer of pound cake cubes into the bottom of a glass 10x15-inch baking dish, and sprinkle the cubes with another tablespoon of coconut rum. Cover the pound cake with a layer of strawberries; sprinkle blueberries over the strawberries. Spread a thick layer of whipped cream over the berries. Repeat the layers several times, ending with a layer of strawberries sprinkled with blueberries and reserving about 1 cup of whipped cream; top the trifle with dollops of whipped cream to serve.